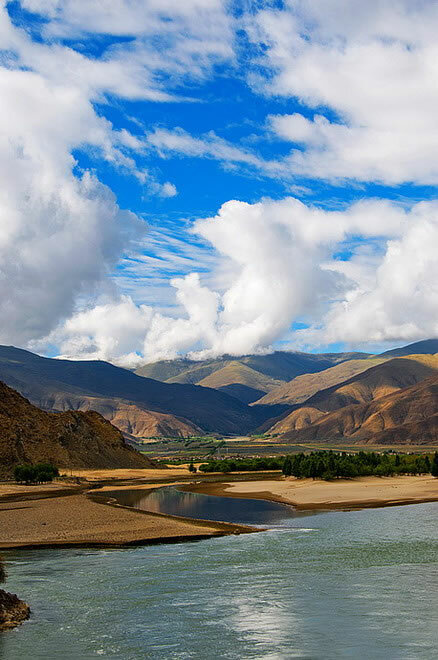 Lhasa River is our beautiful angel along the trip, leading out numbers of beautiful attractions for us, while willingly hidden its beauty, but we could see its beauty everywhere. 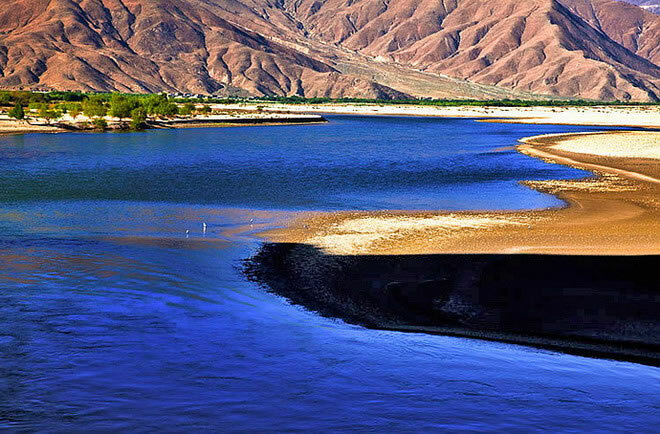 Lhasa River is just like a blue silk accompanying us along the way. 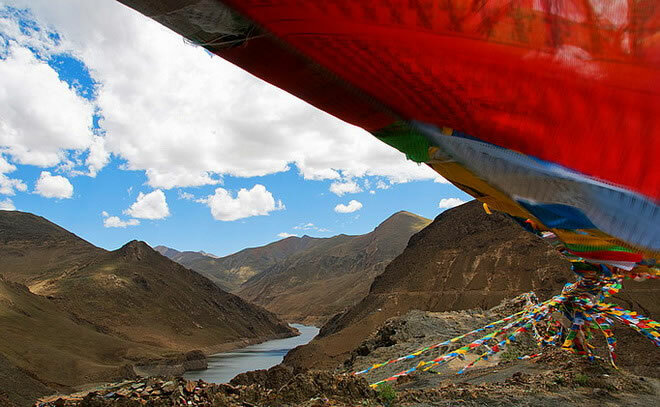 In today's memories of that unforgettable journey, the beauty of the Lhasa River is still lingering in my mind. 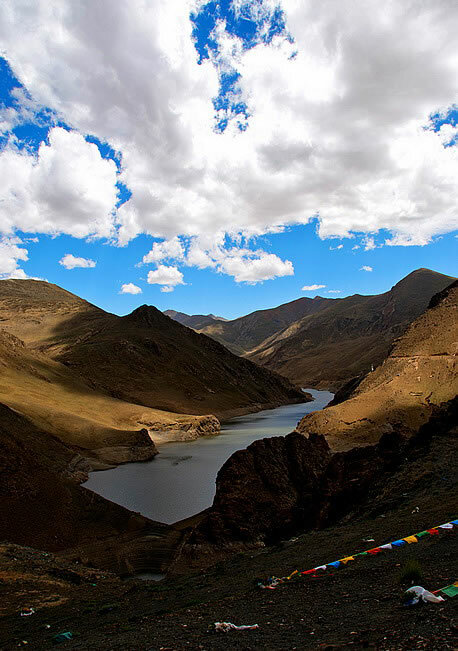 Whenever I look back at these pictures, I always can not be ignored the beauty of the water. 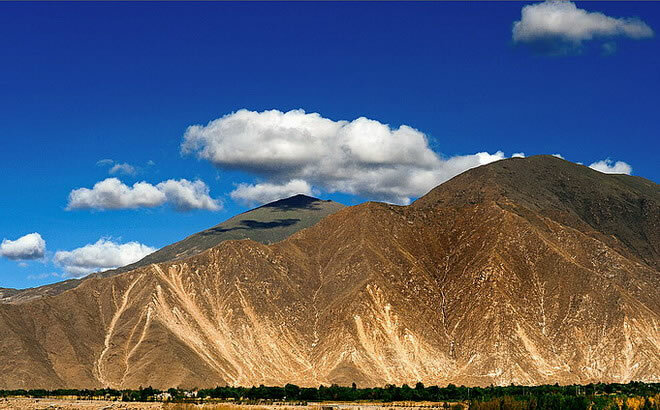 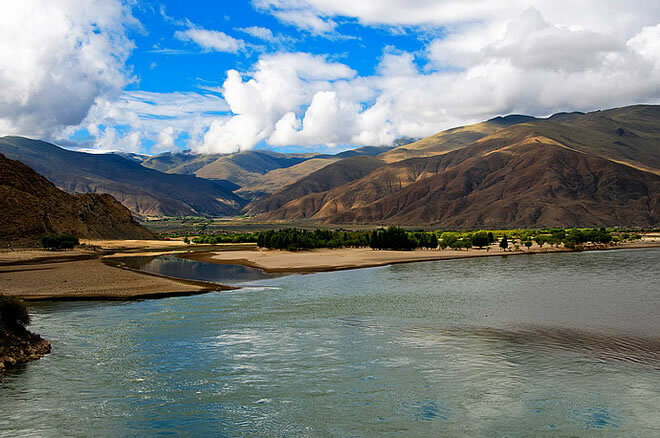 As one of the five tributaries of the Brahmaputra River, Lhasa River originates from Nyainqentanglha, runs through the holy Lhasa city, and eventually import into the Brahmaputra. 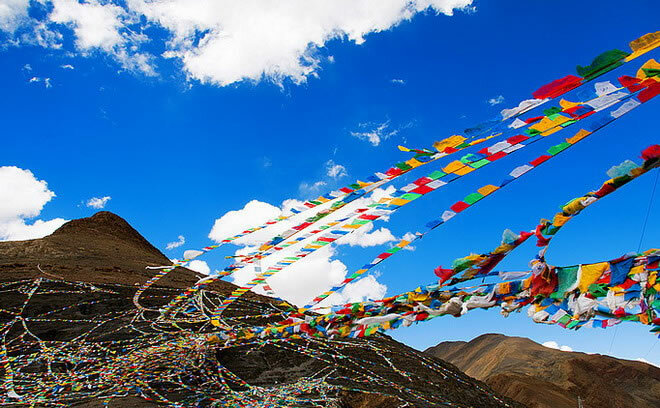 It is not wide but high above sea level, string several plateau holy lands, and gives birth to the profound of Tibetan civilization. 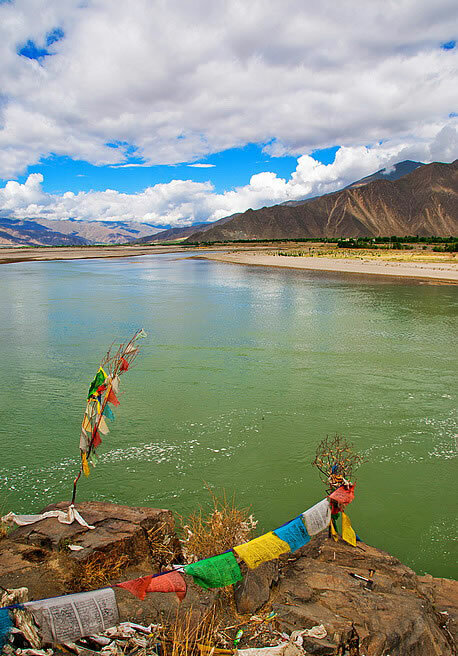 Tibetan people love it, in the afternoon, there will be crowds of people in Lhasa driving or walking along the Lhasa River, putting up a tent, or fishing, or swimming, or bathing, drinking butter tea, eating a variety of food brought from home and enjoying the brilliant sunshine, and of course, the beauty of the Lhasa River. 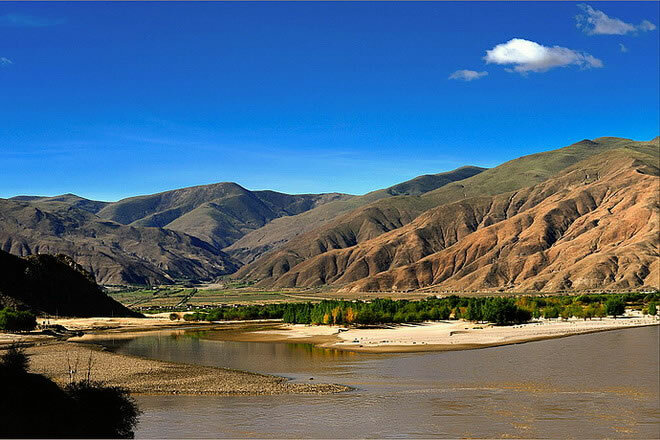 Tourists like it too, there are always visitors taking photos at the riverside every day, you know, from sunrise to sunset. 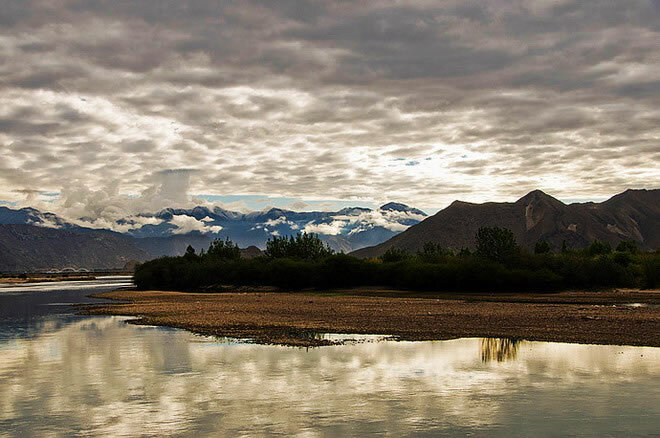 I had witnessed the beauty of Lhasa River for five times during my one month’s stay in Tibet, and this was the last time. 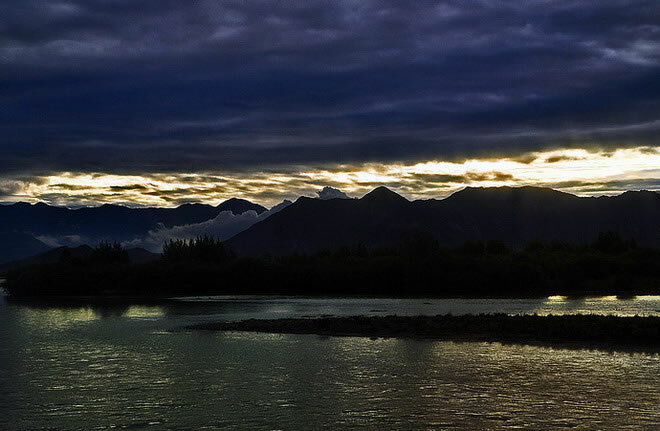 I can not remember the specific location to shoot these group photos of Lhasa River in the dawn, maybe it was at the side of the road of Lhasa. 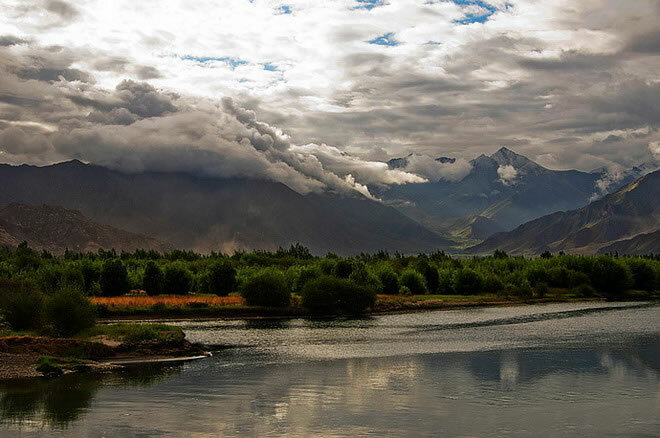 Thick clouds linger in the mountains full of snow. 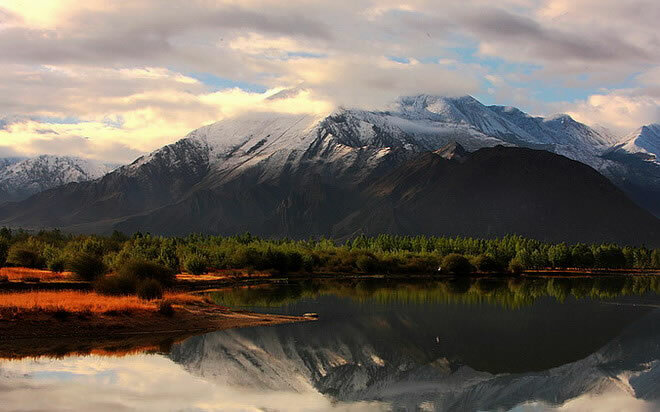 They cover the early morning sun, but can not cover the holy white of snow mountains, the contrasting red and green at the foot of the trees, nor the reflection of the blue sky on the clear Lhasa River. 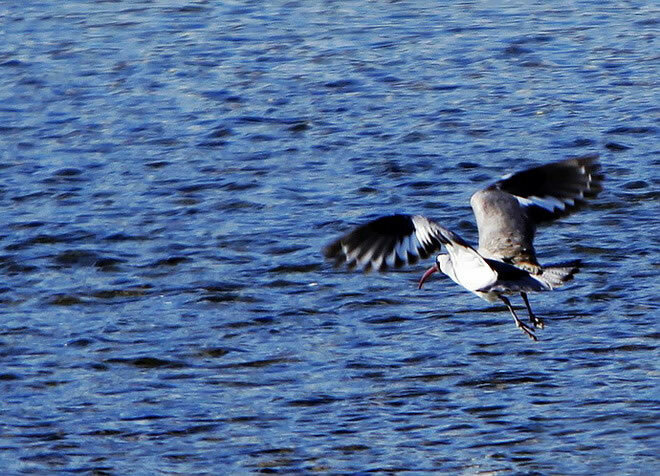 This was the second time for me to shoot at the same place. 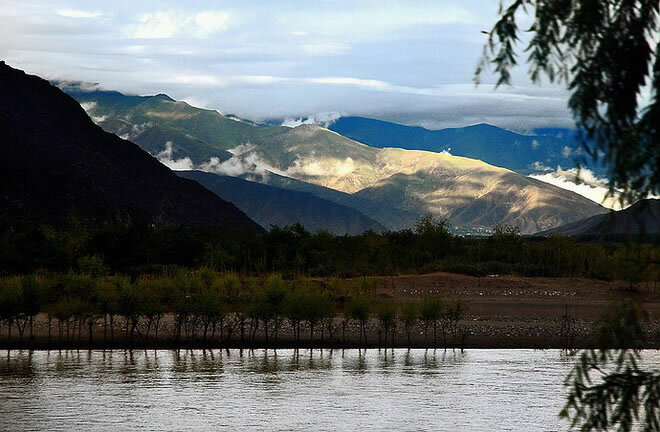 That was also the last time I saw Lhasa River in the morning. 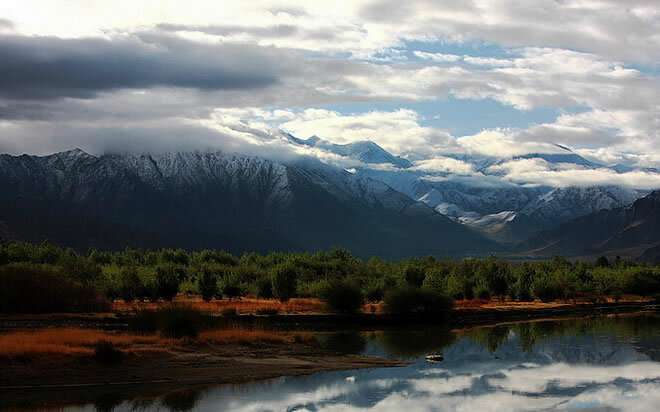 Mountains of snow had been melted. 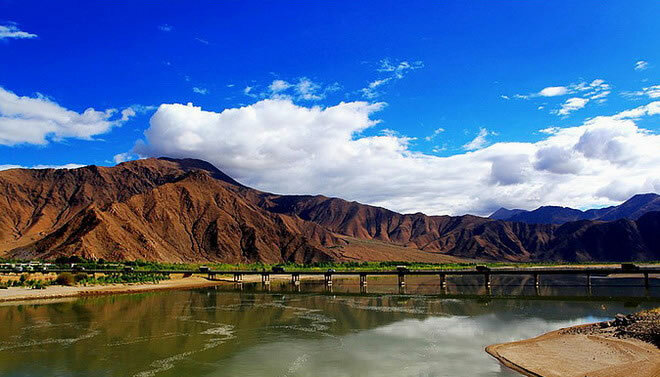 It seemed that the bridge on Lhasa River said goodbye to us. The most famous shooting place should be the Qushui River Bridge in front of Gonggar Airport. 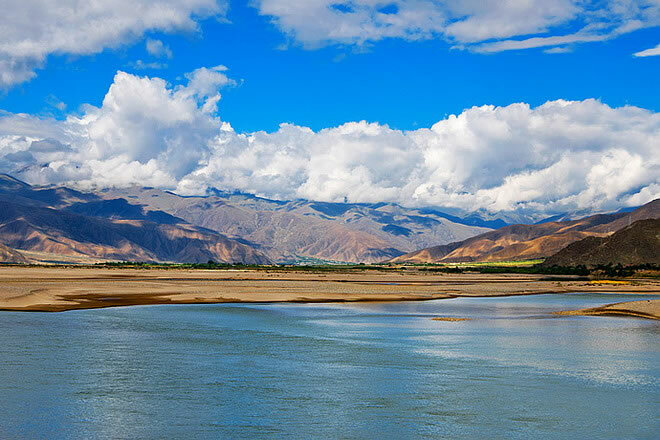 Here, Lhasa River suddenly changed, the wide river, flat water. 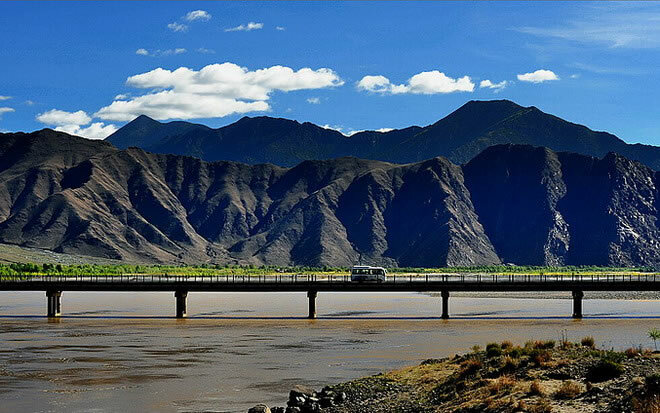 Under the Blue sky, Qu River Bridge is just like a long dragon hung on the Lhasa River, connecting Lhasa city and Gonggar Airport. 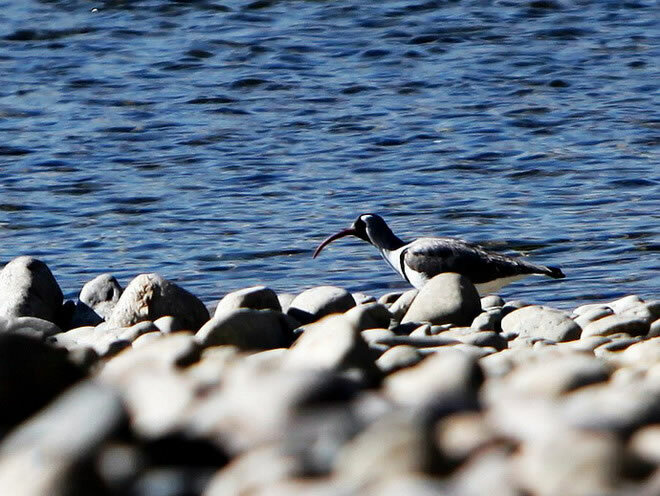 Take a look at the bird walking along the river, so leisurely and calm? 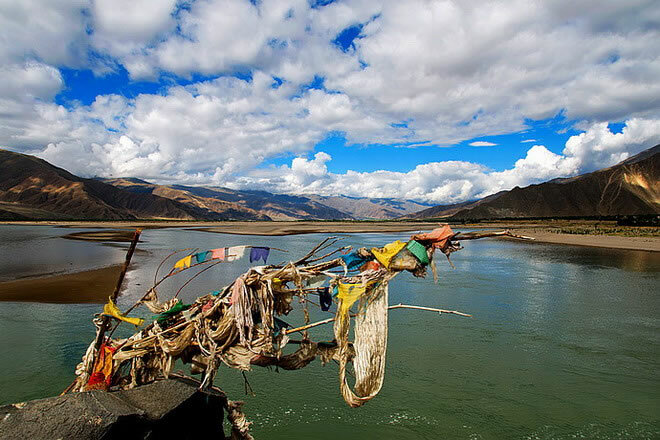 There is not only beautiful scenery in Lhasa River, but also the spiritual and faith of Tibetan people. 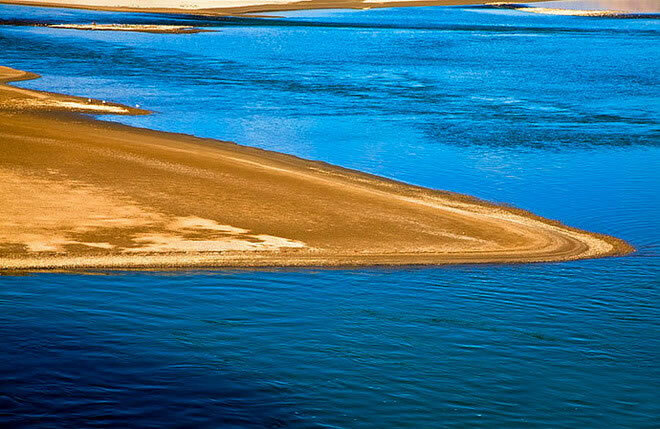 The river sometime is gentle, sometimes turbulent, and sometimes muddy while sometimes clear. 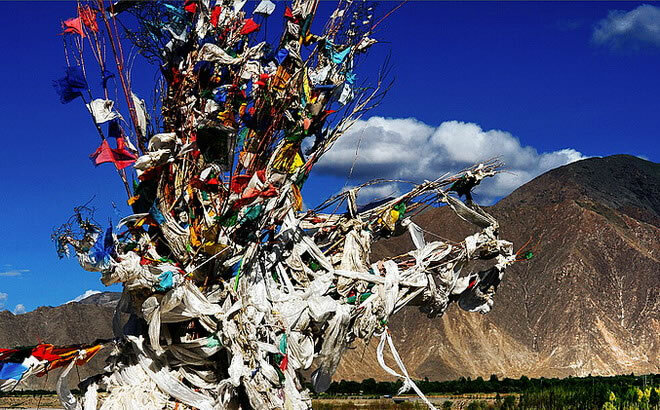 I don’t know whether you have noticed the Tibetans, or a believer in Tibetan Buddhism don’t eat fish? Do you the reason? 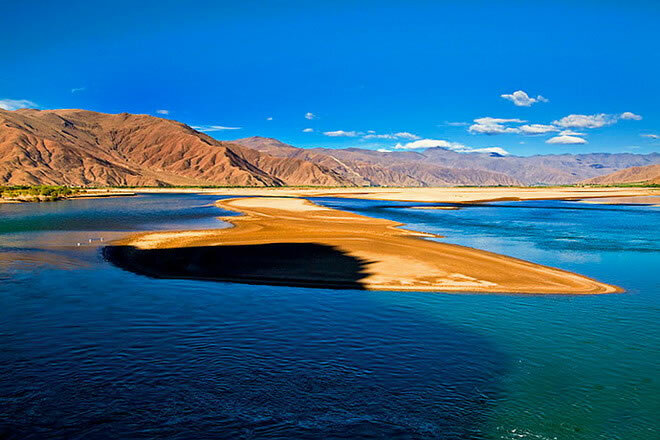 Yes, it is because of the water burial there! The reason why suddenly mention water burial is that there is a water burial station at the south bank of Lhasa River. Standing on the station, I thought a lot of things. 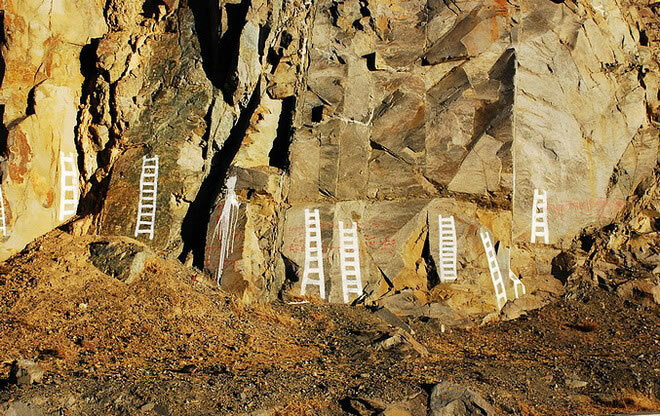 In such thoughts, the scenery is unforgettable, especially the machetes and knives in front of the rocks, and the cliff is also carved with the ladders for the soul to heaven. 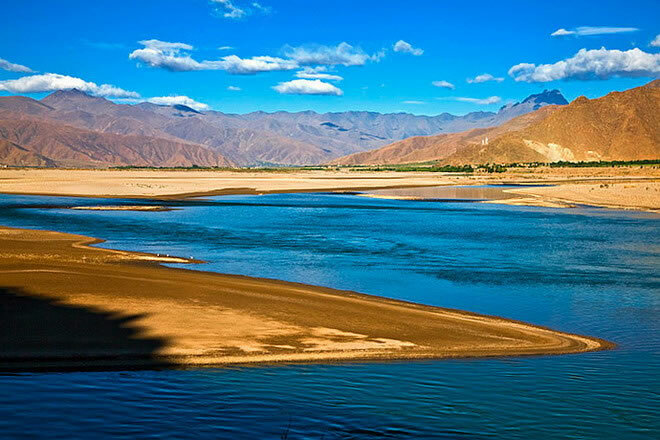 I have been many places, and also have seen many strange customs, so I do not want to talk about the water burial customs any more, only wish the dead in peace in the Lhasa River.